Revitaderm 40 Anti-Aging Cream Review: The Best Anti-aging Products? 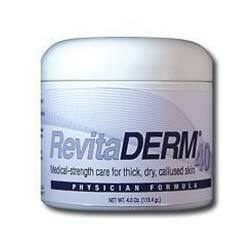 Revitaderm 40 Anti-Aging Cream Review : Ingredients, Side Effects, Detailed Review And More. 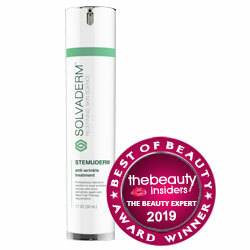 What Is Product Revitaderm 40 Anti-Aging Cream? Revitaderm 40, while once specifically indicated for use on calloused, extremely dry skin, is now being used to address the skin dryness that naturally comes with maturing, aging skin which, in turn, is what makes older skin more prone to wrinkles and other signs of skin aging. Although the manufacture is not a very well known brand in the market. Made from clinical grade urea, the emollient and not the preservative kind, aloe vera, tea tree oil and chamomile, Revitaderm was previously available only with prescription, and was particularly useful for diabetic patients who suffered from dry skin conditions. Reputed medical grade skincare company Blaine Labs is behind Revitaderm 40. Each 4 oz. container of this product sells for $25.45 each. Get a free pumice stone and brush with every unit purchase. Urea (40%), naturally present and consistently produced by the skin albeit in smaller amounts as you age, this urea is the emollient, moisturizing type which keeps your skin hydrated round-the-clock. It also helps your skin retain moisture. Aloe Vera P2000 (Whole Leaf Aloe Concentrate), very closely resembles your skin’s structure making it easily and readily available for your skin cells to use for various skin repair and rejuvenation processes. It also helps rebuild your skin’s natural protective barriers so as to help prevent damage and extreme surface water loss. Although it may also cause rashes on the skin & itchy skin. Tea Tree Oil, enhances your skin’s natural ability to treat and heal itself, while simultaneousy providing an anti-inflammatory and calming effect to your skin. Aa natural antiseptic, tea tree oil also has clear benefits for those suffering with chronic acne. Chamomile (physician grade), enhances your skin’s capability to treat skin damage and inflammations. Apply Revitaderm 40 generously to your face and problematic skin areas as often as necessary, and at least twice a day for maintenance. This product gives a dramatic increase in skin moisture with every use. Although there are every limited reviews online to back its claim. Skin becomes less prone to dryness associated with aging skin. The manufacture is not a very well known skincare brand in the market. The ingredients are not explained properly on the official website. There are limited reviews online regarding the products effectiveness.